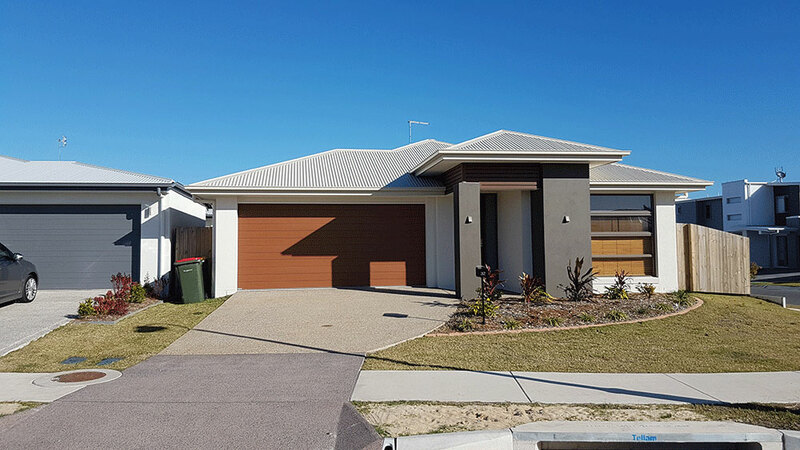 Digital TV Antennas Sunshine Coast "return"
Comsat Technology provide the best TV Antenna Installations and Service on the Sunshine Coast. 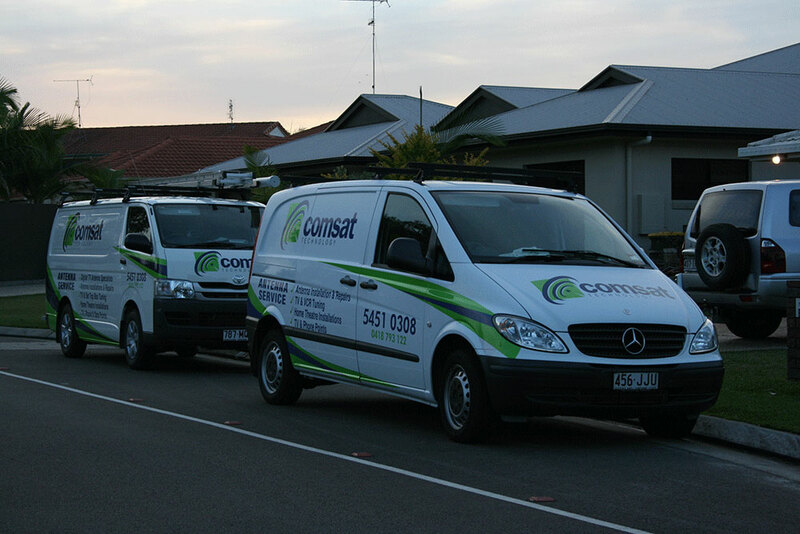 Comsat Technology specialises in, TV Antenna Installations, TV Antenna Service and repairs, VAST Satellite Dish Installations, Service and repairs, Home Theatre System installations and configurations, as well as Smart TV installations. Comsat Technology is a locally owned small business located on the Sunshine Coast and has been established for almost Fifteen years. 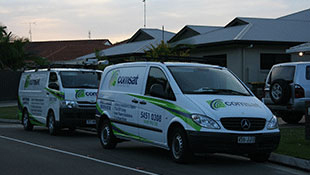 Comsat Technology, provide TV Antenna Installations, service and repairs to all areas of the Sunshine Coast including Bells Reach Caloundra, Pelican Waters, Golden Beach, Caloundra, Currimundi, , Wurtulla, Bokarina, Meridan Plains, Warana, Buddina, Minyama, Birtinya, Mountain Creek, Sippy Downs, Mooloolaba, Alexandra Headlands, Buderim, Maroochydore, Bli Bli, Pacific Paradise, Nambour, Coolum, Peregian, Tewantin, Noosa, Cooroy and Pomona. You do not have to put up with a pixelating picture or constant interruption of your TV viewing with Poor or bad or no signal messages on your TV anymore, Call Comsat Technology now, on 0418 793 122 . 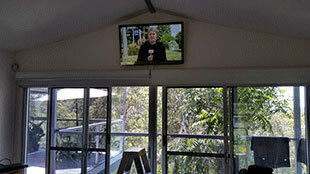 Even after fifteen years, of installing TV Antennas on the Sunshine Coast. Starting back when the Television Transmission was one Analogue channel for each Broadcaster, which was made up of a single Video and a single Audio Transmission, taking up the whole seven MHz bandwidth. Then the big change from the Analogue Transmission to the Digital SD (Standard Definition) MPEG2 Transmission, and HD (High Definition) MPEG2 Transmission, as technology improved and because the High Definition took up too much bandwidth, they changed the transmission to the new MPEG4 which has way better compression, and allows for not only Standard Definition but also Full High Definition (1920 x 1080) Digital Transmission. I am sure there will further improvements, maybe even 3D Transmissions, with changes, in technology, re-evaluations and updates to the Digital Transmission, will hopefully improve the stability of the Digital Terrestrial signal to minimise environmnetal conditions that affect the Digital Transmission signals, and how the Digital TV Transmission responds to other conditions, particularly interference, and also the physical landscape including trees, hills, and valleys. A good example of environmental conditions that affect the Digital TV Transmission, are trees. Trees move with the wind and also keep growing and changing shape, they can have a very large impact on the quality of the Digital TV Signal, if they are directly inline between the Transmitter that has the best signal or only signal you can receive, and the location you want to install the TV Antenna. You may think that anyone can install a TV Antenna, you would be absolutely right, however, you do need the correct tools and knowledge, particularly one piece of equipment you cannot do without is a very good Digital Signal Meter to make sure that the TV Antenna is going to work. But before you even start the installation, you need to choose the correct TV Antenna for the geographic location you are going to install the TV Antenna. This includes the terrain, for example, is it flat and open ground, or is there a steep hill to consider, then, there is the physical location on the roof of the home, and the proximity of the closest available Transmitter, and the actual direction of the available Transmitter from the location of where you want to install the TV Antenna. Once you have choosen the correct TV Antenna, and you have found the best Transmitter in your location, you then have to install the TV Antenna. Is there such a thing as a Digital Antenna? Do you need a Digital Antenna or not. There is really no such thing as a Digital TV Antenna. Antennas are made to receive a specific range of frequencies. That means that if you have a TV Antenna that will receive a range of frequencies from (Channel 28)or 529.50MHz to (Channel 68)or 809.50MHz then whatever is transmitted within that range of frequencies, the Antenna will receive those frequencies, whether the transmission is an analogue signal, Digital signal, or mobile phone signal. If that signal that is transmitted on a frequency that is in the range the Antenna is made for, it will receive it, whatever the transmission is. The UHF TV Antennas used on the Sunshine Coast, to receive the Free-To-Air Digital TV Channels, will also receive local FM radio. This is handy to know if you want to receive the local FM radio signals, in some regions of the Sunshine Coast you do not necessarily need a specific FM radio Antenna, your UHF TV Antenna will receive the FM radio signal as well. Another myth is that the biggest TV Antenna will have the biggest gain, and this gain will overcome or compensate, for the poor location of the TV Antenna and direction of the TV Antenna. TV Antennas are all very directional, that means that they need to be aligned very specifically to be the most efficient. If you don't align the TV Antenna correctly, it does not matter how much gain the TV Antenna has, it will not work correctly or in some cases it will not work at all. Things that can affect the efficiency of the TV Antenna is the location and direction, if you don't find a good location where the Digital TV Signal is strong and stable on all the five groups of Digital TV Channels, you may not receive all the Digital TV Channels that are available to you in your area. You might have a good ABC and SBS, but the commercial channels are missing or if you are receiving them, they may pixelate all the time. As well as the location of the actual TV Antenna installation, if you don't correctly aline the new TV Antenna to the right Transmitter, the TV Antenna will not work properly. Coming from an IT background in Networking and technical support of computer systems, including TCP/IP, Novels IPX-SPX and Microsofts Networking protocols, it has been an easy transition from Computer Networking to installing and configuring Smart TV's. Connecting Smart TV's to the internet can be done using a CAT5e lead or using the wireless network or what is commonly call Wi-Fi, is just another way to connect devices together, and as the name implies there is no physical connection, between devices, they are connected wirelessly and you can share information like files and media, you can even share devices like printers. As already mentioned Wi-Fi is another way to connect devices together and share files and media, wirelessly. Sometimes however the wireless Network signal is not strong enough or there is another wireless network that is conflicting with your network. Comsat Technology can check the Wi-Fi signal and identify what the problem is and then implement a solution. After the Digital restack the government sold part of the UHF spectrum Channel 50 to 68, to the Teleco's, to expand the Mobile phone/data coverage. It seemed to be a good idea at the time, but since its introduction is causing interference with the Free-To-Air Terrestrial Digital TV signal and a special filter (LTE) is now required to block this interference. 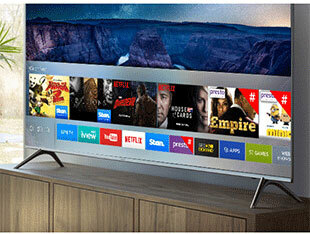 The LTE Interference, as it is known is causing some unusual problems with the Free-To-Air Terrestrial Digital TV Transmission, on the Sunshine Coast. Extra gap filler Transmitters at Pt Arkwright and Peregian Beach, have been constructed, near black spot Television reception areas from the north face of Mt Coolum, along the beach front from Point Arkwright, Peregian Beach, Sunrise Beach, and to Sunshine Beach to provide the Terrestrial Digital TV coverage. As a last resort to provide TV reception, there is the VAST Satellite Service that is available to areas where there is still no TV reception. If you cannot get the Free-To-Air Terrestrial Digital TV using a Standard TV Antenna System, there is, as a last option available, is the VAST Satellite TV Service. This VAST Satellite TV Service is a Free-To-Air Satellite TV service that requires a KuBand Satellite Dish and a special Satellite receiver that can receive the VAST Satellite Service.